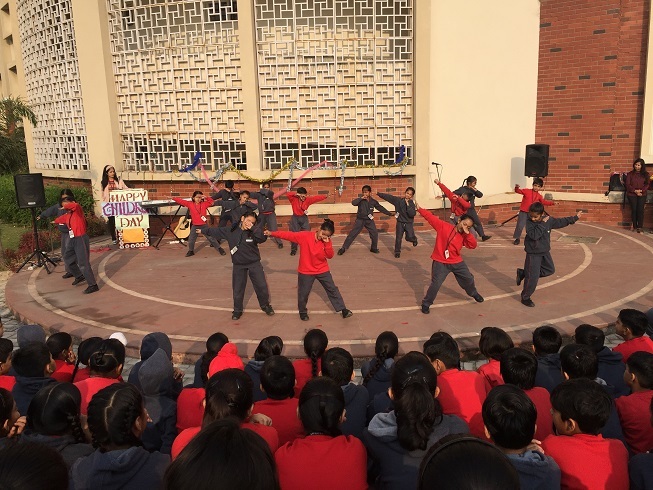 The Inter house dance competition was held in the school campus for Grade 3 – 6. There were participants from each house from each Grade. 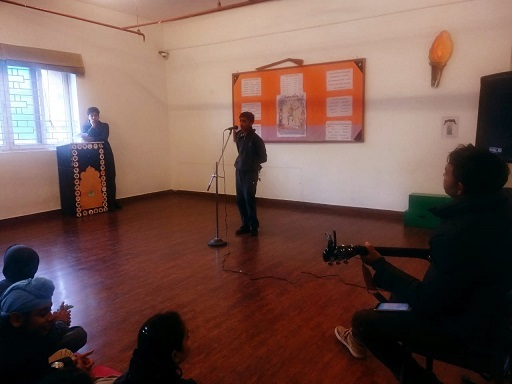 Singing competition was held too between participants of grade 7 to 9. Each participants were given 2 minutes for solo dance performance and 3 minutes for solo song. Saahas House emerged as winner for Inter house Dance competition for Grade 3 – 6 whereas Sanyam house was winner for Inter house Singing Competition for Grade-7 to 9. The students of Grade 8 & 9 bid a farewell to their seniors during a farewell party. The farewell party was organised at school premises where all the seniors and juniors had a lot of fun together. The seniors received a warm welcome by the juniors as they entered wearing elegant attire. The programme began with the juniors performances. 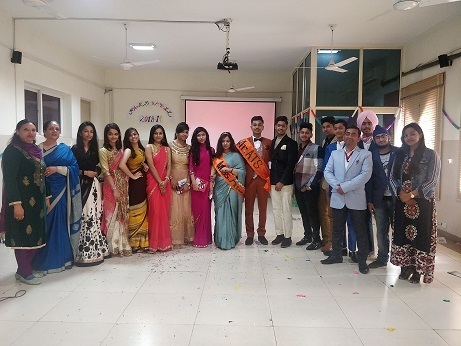 The juniors enthusiastically performed farewell songs for the seniors; they sang the good bye songs which again created an ambiance full with emotions. The juniors were dressed in western attires too. 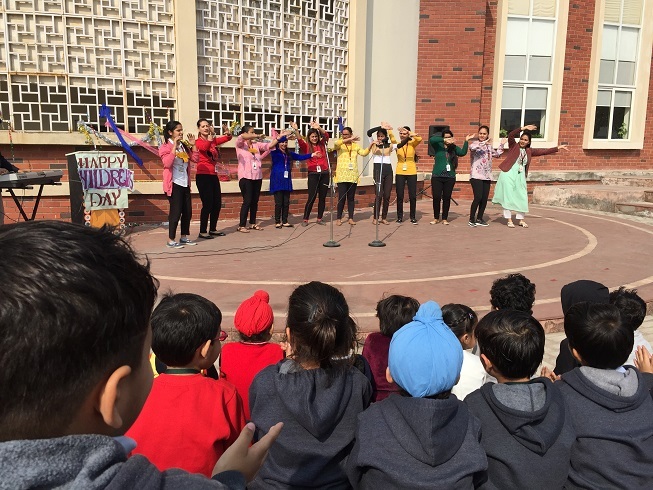 The programme then was followed with the group dance performances where the juniors gave outstanding performances on traditional and modern Hindi, Punjabi and English songs. The juniors created an ambience of enjoyment and music for the seniors to enjoy their last memories in the school. Further, the event was made memorable with the flashback memories that were shared by some seniors in the speech that created an emotional moment. As the performances were so splendid, the faculty members while addressing the students said that being students they will always remember their school days and the faculty members also wished the seniors luck and well being for their future. Later the programme was followed with the award ceremony and title distribution. Awards were given to the seniors keeping in mind their caliber and capability they have shown throughout the party. Principal Sir and other faculty members wished all the students luck for their future endeavours. They asked them to do their best and face life challenges with confidence. 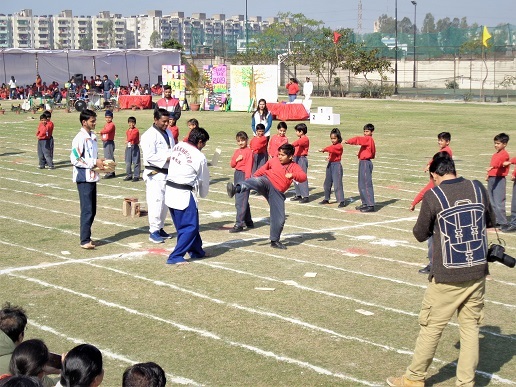 The school held its annual sports day during school hours in the school ground. 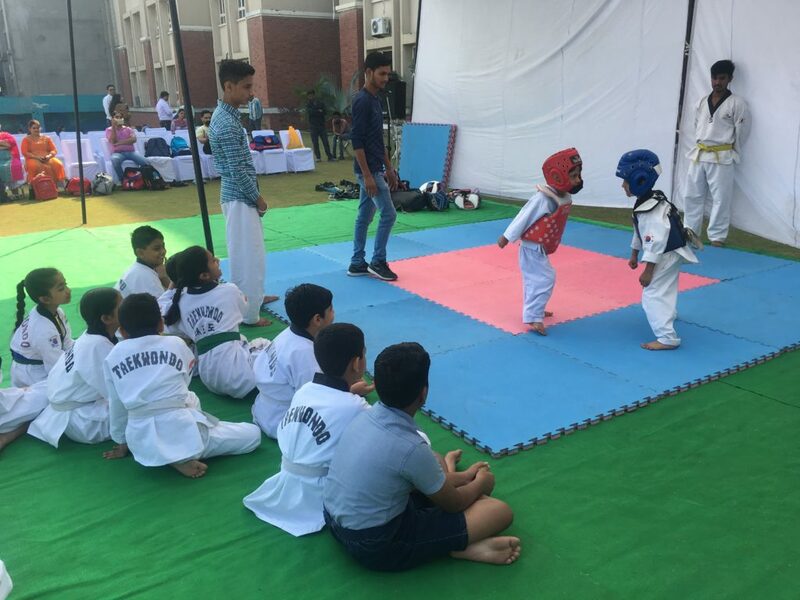 The aim behind holding the event was to inculcate the spirit of sportsmanship and fondness for sports in children. The day was a fun filled fest of laughter, energy and delight as around 400 students presented and participated in various activities. The event began with the March past performed by the students of Grade LKG onwards. A melodious musical performance by Junior and Senior band laid the ground for other lovely performances. 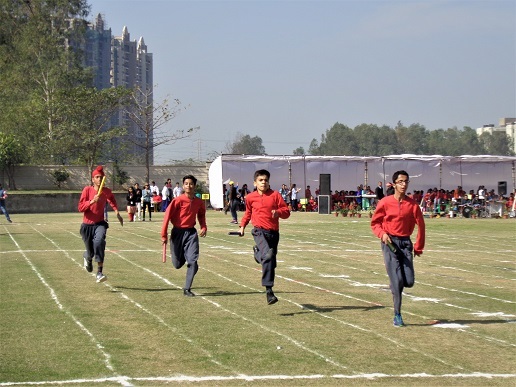 Notable among them were various kinds of races including back gear race, relay race, display of drill by students of Skating, Golf, Taekwondo, Lawn Tennis and Cricket. 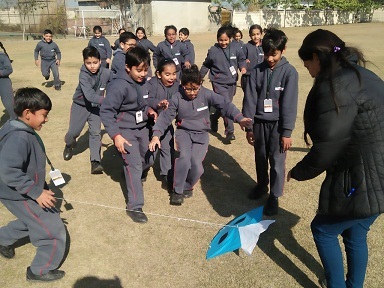 One highlight of the event was the "dupatta drill" presented by children of Grade 6-9. The event concluded with a fun race held for parents. It regaled the students, spectators and participants alike as they discovered the hidden child in themselves. The Principal Sir also thanked parents for their support and encouragement that lent charm to the event. Lohri festival was celebrated in complete traditional ways. Teachers and students sang the traditional song "Dulla Bhatti Wala" and the Principal lit the fire and dhol was arranged for the students . Students participated with great zeal, enthusiasm and enjoyed a lot. 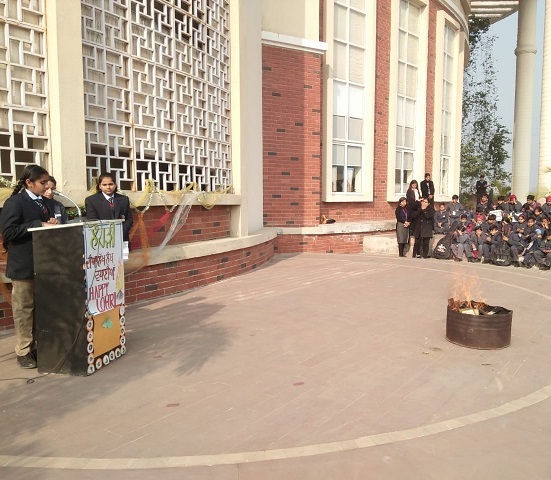 Students celebrated ‘Makar Sankranti’ today at the school campus with great zeal & vigour. It was a colorful yet traditional celebration indeed! 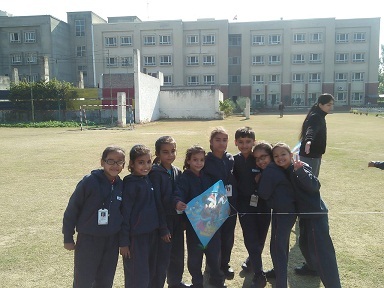 All the students were in a festive mood and gathered in the main ground to fly kites and to witness & enjoy the programme. 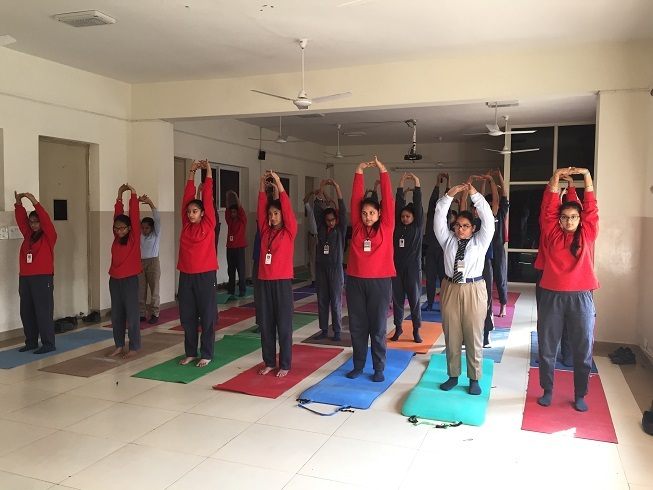 To raise awareness of the benefits of practicing yoga, a special interactive session of demonstration exercises was held for students of Grade 8 & 9 . An expert performed important asanas, postures and guided students to adopt a healthy lifestyle to stay fit and overcome diseases. She emphasized upon the significant role of yoga in healthy development of youth and explained useful exercises on the occasion. 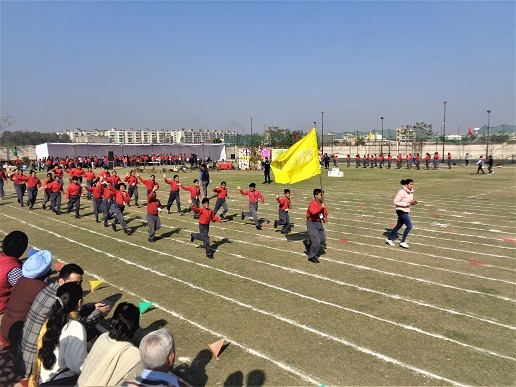 Children’s Day was celebrated with great enthusiasm and gaiety on November 14, 2018 by the students and teachers. 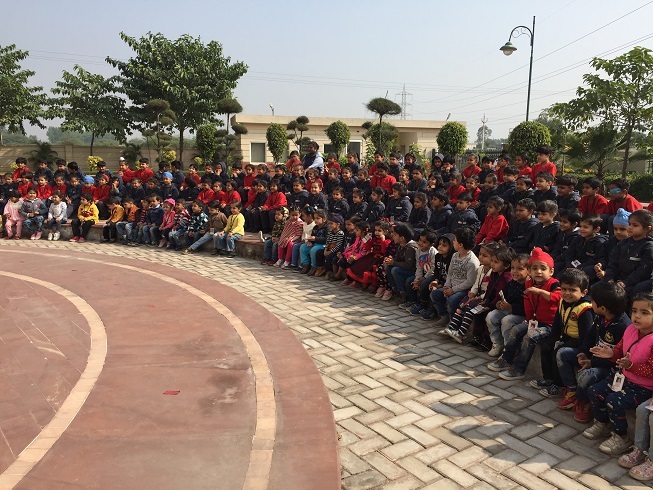 Students spent a memorable day at school-enjoying the special assembly and a number of activities conducted by the teachers. 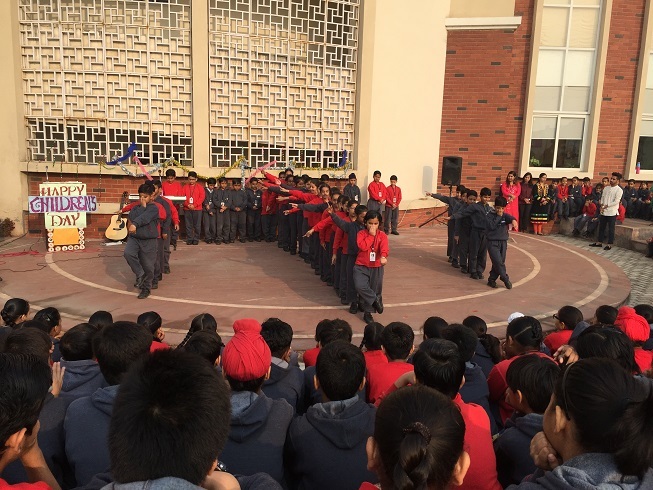 The entire campus came alive with performances by teachers especially organized for the children. They were enthralled to see their teachers performing on stage in the special assembly conducted on the day. The Principal Sir addressed the students and teachers and expressed his love for the children and wished them a blessed future. Mock elections were held for grade 7 to 10 at the school. These elections were held just to give a clear picture to the students about the process of elections. The elections were held for the posts of cultural secretary, discipline secretary, sports secretary, literary secretary and cleanliness secretary. The students participated in huge numbers and with great enthusiasm. Through these mock elections, they came to know the democratic set up of the country and how the process of election takes place in India. The Annual Exhibition 'Kalpana' and thrill activities was held on 13th October, 2018. It is organised every year with a view to encourage and inculcate a scientific temper amongst students. It is a collection of various activities. Exhibitions are opportunities where ideas will begin to bloom for the development of the world. Starting from our pre-schoolers to grade 10 .The school also held inter school art, theatre and sports competition. The competitions were based on various topics according to the different age level. The winners were given the certificates. Our thrill activities included ,Flying fox and rappelling. 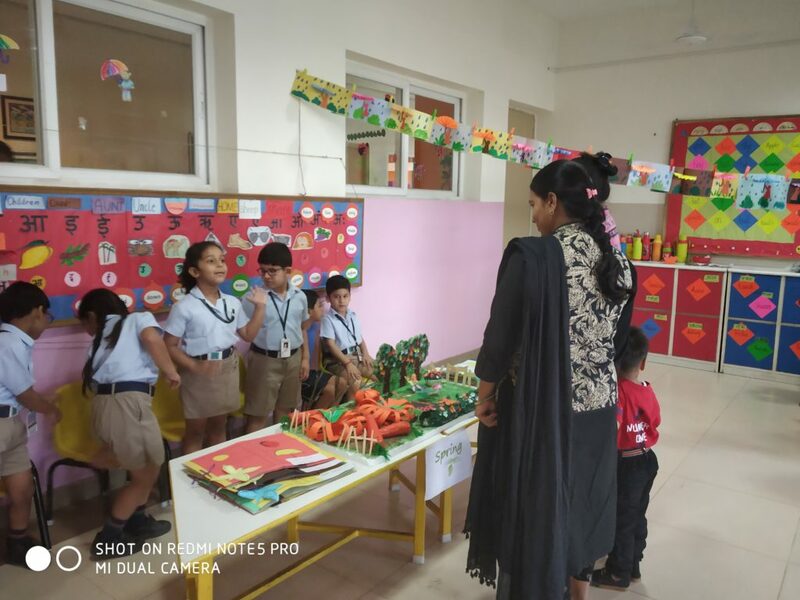 The other attractions were The magic show,the puppet show,book fair and the food stall.Overall, It was a great learning as students used their own ideas and imagination to present their projects and it was a huge success.Enthusiasm and effervescence overflowed amongst students, their teachers and parents! 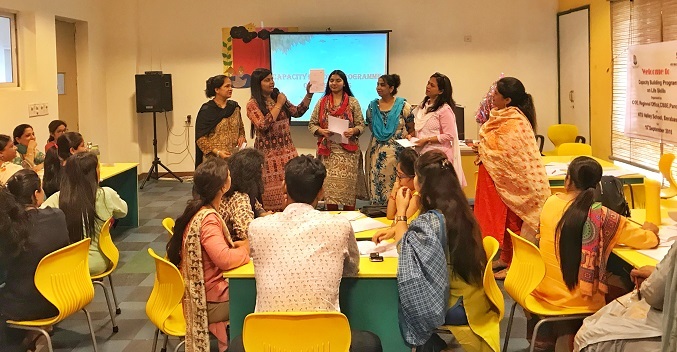 The School conducted a seminar for students of Grade 7, 8, 9 and 10 in association with "The Hindustan Times" and Connect. The seminar turned out to be an interactive one with students enthusiastically participating in the seminar. Resource person from the Connect spoke about the pros and cons of using social media and how to be careful while sharing information on the Internet with the third party. The School hosted CBSE Capacity Building Program on "Life Skills" today at their school campus. 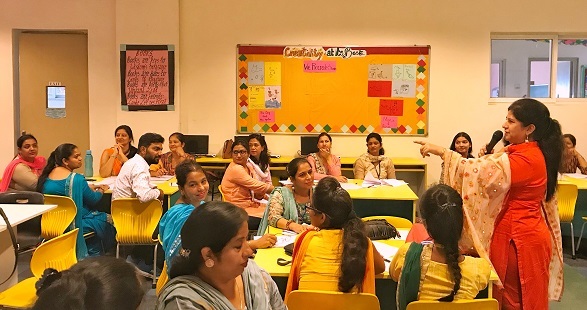 Mrs. Ranjana Bhardwaj of Army Public School, Chandi-Mandir, Panchkula is the resource Person for this CBSE workshop. 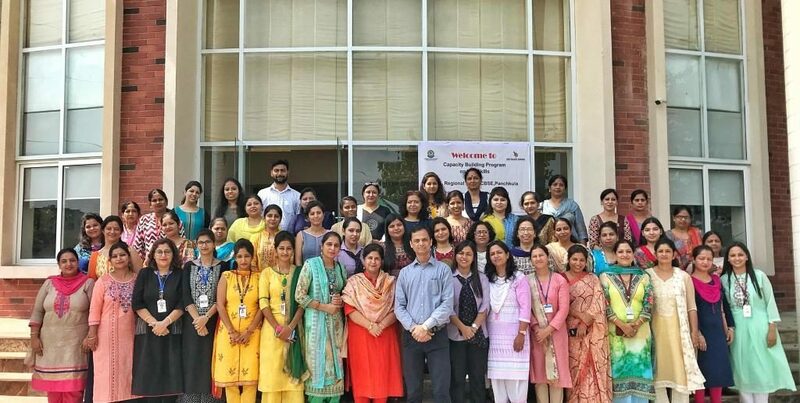 Over 70 educators from different school of CBSE Panchkula region enthusiastically participated in the workshop. The tiny tots started their Masti ki Pathshala with a song and pledge. The pledge was to make a promise to themselves that they will follow the rules of cleanliness in the class and outside the school too. Then they encouraged the parents to do breathe in –breathe out exercise for 2 minutes to feel relaxed. They also showed the demonstration of how to clean teeth (the various brush movements) and also how to wash hands. Students also explained the parents that our body is made of 70% water, and the importance of water in our body. Apart from this , the most important is to take a sound sleep of atleast 7-8 hours. 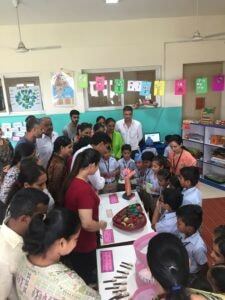 Along with the Chalk and talk method of teaching with delivering of dialogues on the mike, students showed their creativity on cleanliness in the art corner by making models of brush and denture of teeth , fruits and vegetables made of clay. They have also made their own laminated table mats which they will use in school during lunch. In the IT corner they showed videos to the parents on the related topic. Last but not the least the students gave a “thank you “ card to their parents to show their gratitude. Students of Grade 3 performed Masti ki Pathshala with great enthusiasm. Every student from the class came to the podium and taught their parents. The topic was- "Our body- a living machine". The students collaboratively worked in teams and prepared six models of different organ systems of our body, using the same, they explained the concept very well to their parents. The Pathshala initiated with the explanation of the topic i.e the body, then moving ahead to different organs and then to the organ systems. The topic was integrated to the value gratitude and they performed a small skit expressing their gratitude towards their parents for giving them birth and a wonderful life.Our very curious students also used the I.T Corner to explain about the small and large intestine. At the end they sang a melodious song on gratitude.It was a great learning for them with a lot of fun. 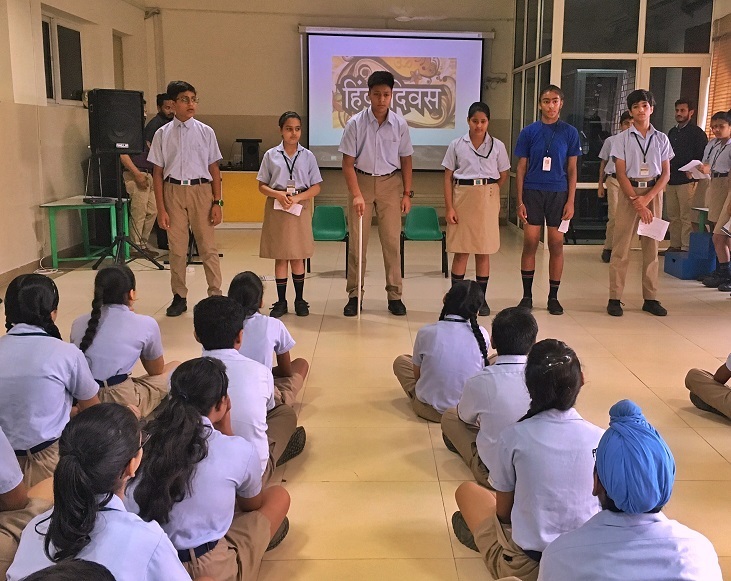 Special Assembly: Skit on "Communal Harmony"
Students of Grade 7-9 did an engaging play on the topic of "National Harmony". The objective behind the play was to encourage the feeling of unity amongst different communities and elaborate on the concept of "Unity in Diversity". 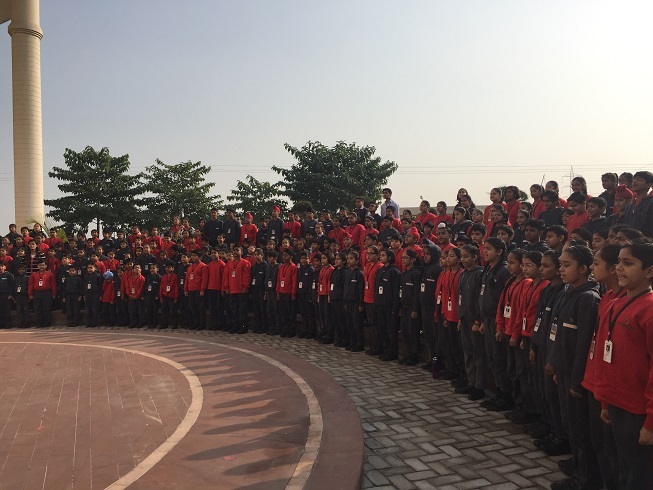 The School conducted a special assembly on the occasion of Hindi Diwas. 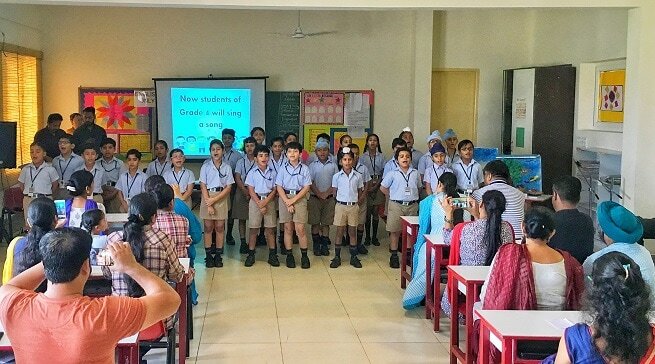 Students participated in the cultural programme which included recitation of poetry, Hindi speech, Dohas, Oath, Thought of the day and a Skit in Hindi. witnessed participation of students of all classes in patriotic songs and group dances along with theatre done by the senior students. Students of grade 2 performed Masti ki Pathshala with great enthusiasm. They were very excited and worked very hard with their efforts. The topic was – we need shelter. Students started the program with a warm welcome of their parents by singing a song on “ My Home”. They added a lot of laughter in the paathshala with a small play on Kachcha house and pucca house. Students taught their parents by using various teaching methods like chalk and talk, IT corners and art area. 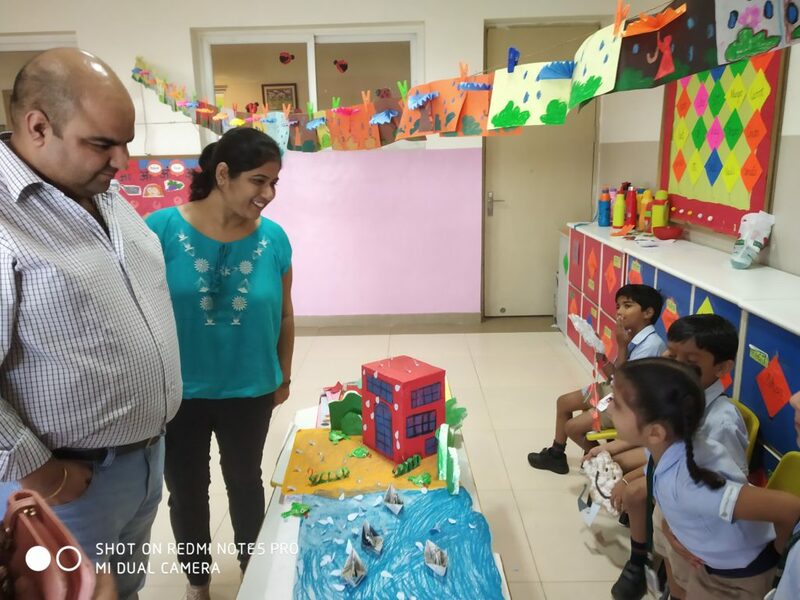 Parents were amazed to see the hard work done by their kids in making beautiful models of different houses like the hut, bungalow, igloo, stilt house, houseboat, tent. It was a great learning with a lot of fun. The students of Grade 4, participated in Masti Ki Pathshala with a lot of passion and enthusiasm. They worked hard on each project i.e. Presentation, song, skit, Art Projects that involved our topic – Animals & Their Adaptations. Our inquisitive & intrigued students first learned about various animals and their habitats thoroughly, and then worked harmoniously as a team to teach the same to their respective parents. Kids had also decorated a gratitude tree by writing on different pieces of chart paper, cut in the form a leaf mentioning what they were thankful for. It was placed right at the entrance of the class where each parent could look at it as and when they enter the class. At the end of the skit, the whole team expressed their gratitude for animals, realizing and accepting that they are man’s Best Friend and should not be harmed. They also used the I.T corner to find out more related questions and answers and explained the same to the parents. The whole process of preparing and teaching was a great learning experience for the kids. 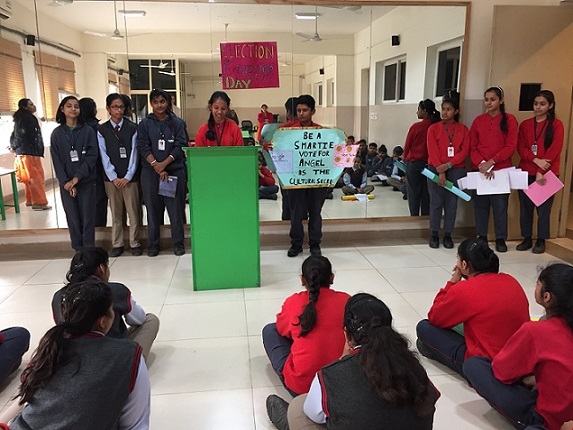 The students of Grade 5 presented Masti Ki Pathshala on the topic-Changes around us. 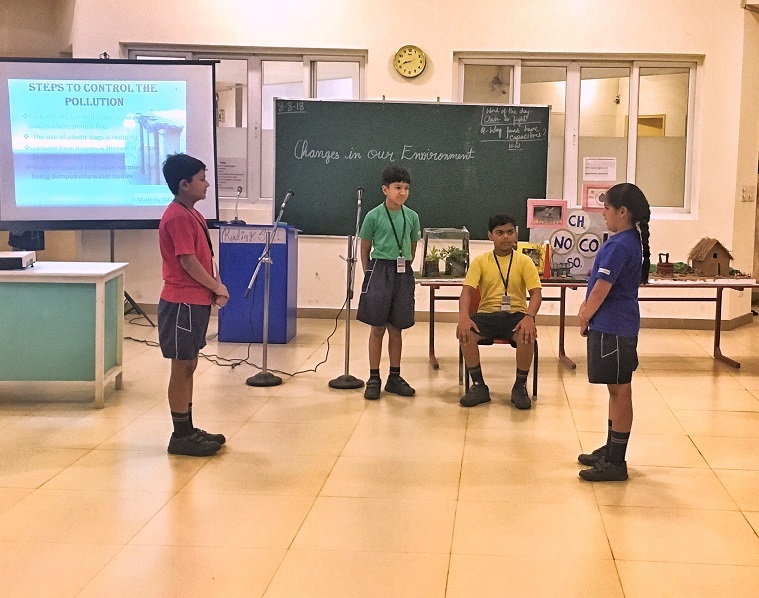 Students made a presentation and models on how we all are polluting the environment, they also presented a skit and a song on how important is our mother earth and how we can preserve it.Parents appreciated the efforts of the children. 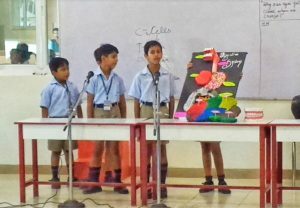 ATS Valley School, Derabassi organized its annual science exhibition and adventure activities titled ‘Kalpana& Thrill 2017’ in the school premises on October 7. The students from all classes participated in this event and showcased their creativity and ingenuity. The students of grades 5-9 put up various exhibits, working models and live robots designed by them. 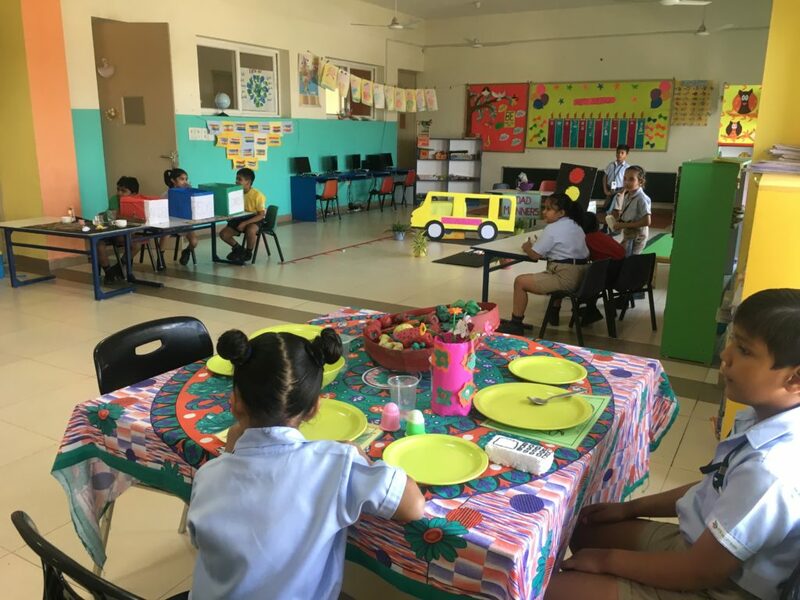 The pre primary graders chose topics like ‘Reduce, Reuse, Recycle’; air pollution, birds and animals, means of transport for their exhibits besides designing some very interesting DIY games and the ATS Bank. 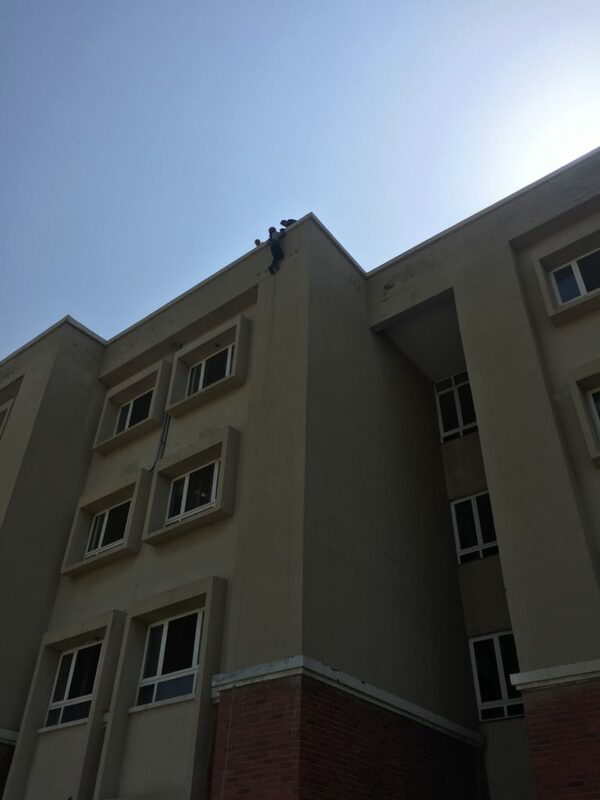 The highlights of the event were the adventure activities such as rappelling, Zorb roller, soft archery, wall climbing, Flying fox and Burma Bridge etc. The idea behind organizing this event was to acquaint the students with the importance of science in their daily lives and make them resilient both physically and mentally. 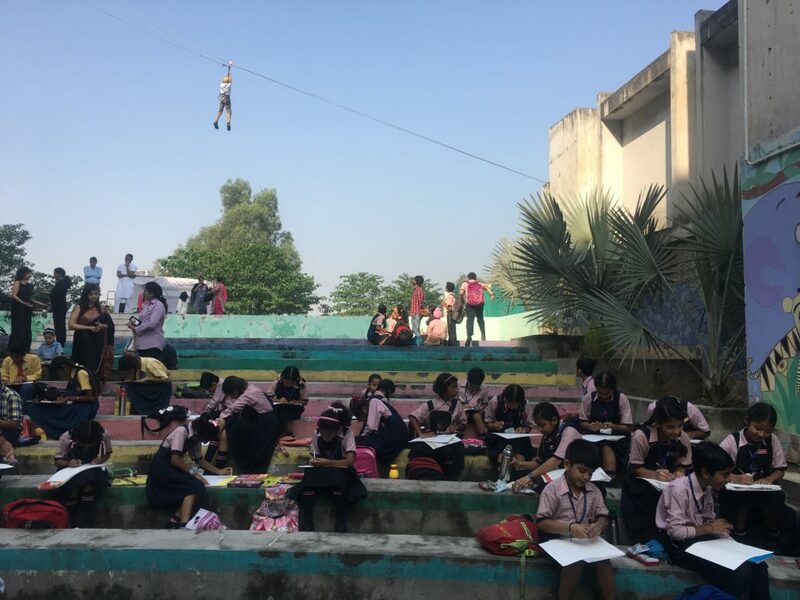 It helped improve their ability to work as a team besides making them more tenacious, agile, and adventurous and most importantly, get over their fear of heights. 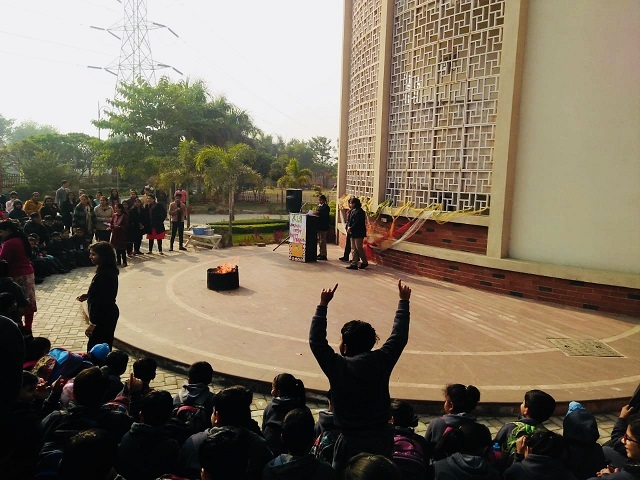 Inter-school theater and art competitions, Rang Malhaar, were also held which witnessed active participation from various school of the tricity. The event was open to the parents who were highly impressed by the creativity, hard work and confidence of the children. The All India Roller Skating Championship, 2017 was held on April 28th -30th at the Sports Complex, sector 69, Mohali. About 3000 students in the age group of 8-10 year representing a various school of the tricity participated in the competition. Aryavir Singh Narula of Grade 5 from the ATS Valley School bagged the silver medal in the competition. The Pre-Primary students of ATS Valley School celebrated their Annual Day on 28th October 2017 with great enthusiasm and zest. The programme commenced with the lighting of the ceremonial lamp and the Principal’s speech. This was followed by a welcome song by the students of UKG. The tiny tots captured the hearts of the audience with the enactment of three plays that brought to life the stories of – Monkey and the Cap- seller, Three Little Pigs and Billy Goats Gruff. Music and dance added flavor to their theatrical performances. 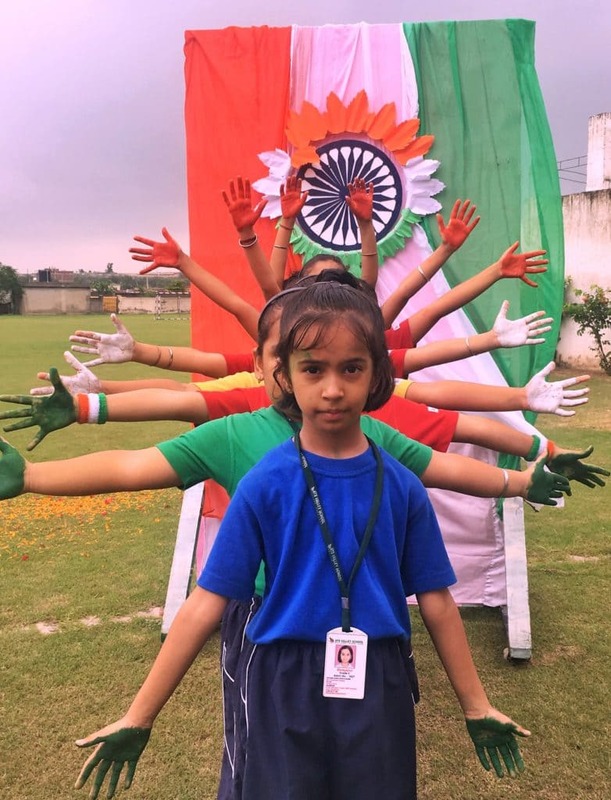 Every child participated and made it a beautiful spectacle worth a watch. The little ones held the entire show with commendable confidence, their convincing acting skills, charm, and vibrancy. This speaks volumes about the dedication of the school in creating well groomed and confident citizens of tomorrow. ATS Valley School invited Shri Satya Narayan Pradhan, IPS, Jharkhand cadre, 1988 batch as the expert guest speaker to address the issue of internet and computer-related crimes. 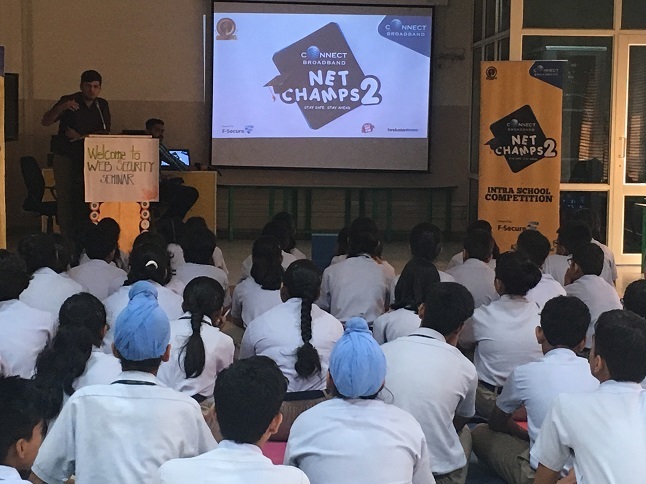 An interactive session was held at the school on March 8, 2017, for the students wherein Shri Pradhan briefed them about the various cyber crimes, malware, hackers as well as the other computer –disabling methods through which personal information is stolen and misused. He spoke in detail about how internet users, especially teenagers, can deal with bullies, social media harassment, profile hackers on websites/portals such as Facebook. The expert encouraged the students to join hands to protect themselves, their families and community against such threats. Sri Pradhan has held important ranks with the Indian Police Services and is the recipient of the IPM (Indian Police Medal) and the PPM (President’s Police Medal). He has played an instrumental role in setting up a state of the art cybersecurity lab in Jharkhand. 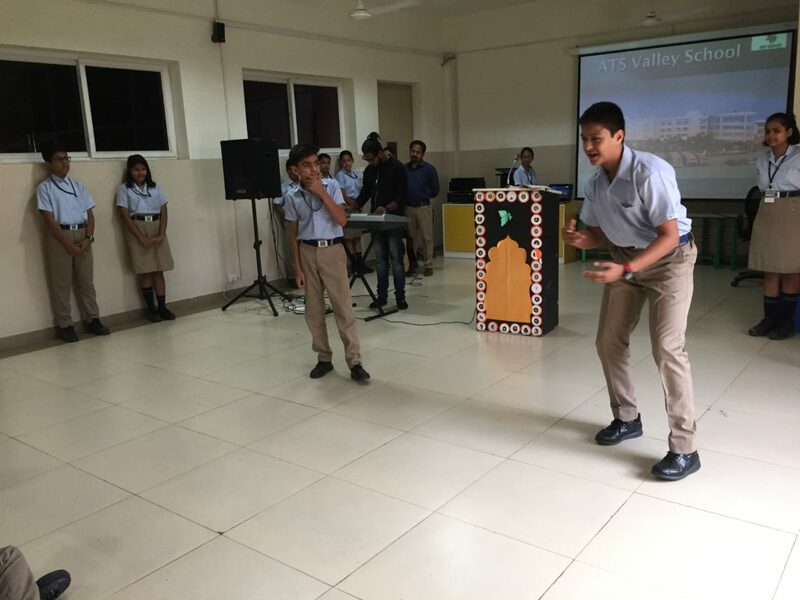 ATS Valley School proudly joins him in his mission of disseminating critical awareness vis ︡a vis internet safety and protection.